The ballboy pointed for the keeper on the left and Wang Dalei saved the penalty. Unusual moment happened in the match between China and Saudi Arabia at the Asian Cup. 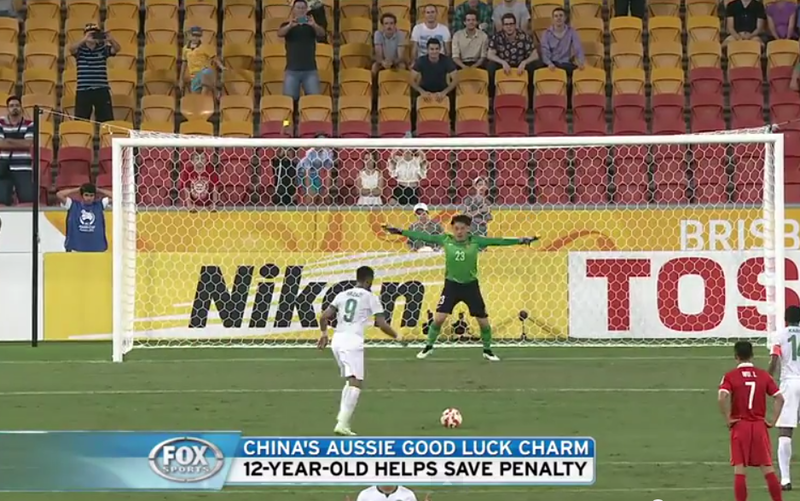 In the 62 minute after penalty for Saudi Arabia, the Chinese goalkeeper, Wang Dalei, turned to 12-year-old ball boy who pointed for the keeper to dive left and the Saudi penalty was saved. China won the match 10 minutes before the end after Yu Hai scored the winning goal for 1:0.